Looking for a unique opportunity to observe wildlife up-close in your own backyard?Well, look no further! 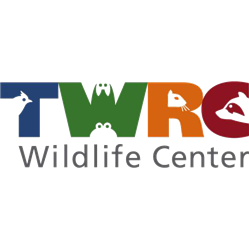 TWRC Wildlife Center is seeking six responsible adults who want to get involved with the care of rescued wildlife but don't have lots of free time. These individuals are needed to assist TWRC with the transitioning and release of rehabilitated wildlife back into the wild. This is an excellent opportunity for individuals to help wildlife without having to commit to stringent care or feeding schedule that baby animals require. What does this entail? TWRC will provide each recipient with an easy to assemble 8’x8’x8’ outdoor enclosure to be placed in your yard to accommodate the animals who will be transitioning from our program back into the wild. Training will be provided by an experienced, permitted mentor who will guide you every step of the way caring for wildlife. Volunteers at TWRC Wildlife Center are the backbone of our organization. They supply the force behind our mission to rehabilitate, release and education the public. We are inspired by our volunteers’ devotion to the community responsibility of caring for our Texas wildlife. Since we started keeping records in 1992, our Center has helped more than 145,000 wild animals. Our volunteers have a very unique opportunity at TWRC. They get to be a part of an organization that established the first wildlife emergency facility in Houston, which has admitted over 392 different species. Over the years our seasoned volunteers and staff have acquired a great deal of knowledge and experience and are eager to share with individuals who want to join our mission to help wildlife. Volunteers leave here having the knowledge and ability to help any injured or orphaned wild animal they may encounter. Adventure Guide Responsibilities: This position is responsible for leading our wildlife camp programs.Pre-requisites: Be a current TWRC member and be at least 18 years of age.Ongoing Commitment: Commit to work a minimum of 3 shifts per week – for 5 camp weeks between June and August. Rockin’ Robin Responsibilities: This position is responsible for facilitating informal education programs (Festivals, service project events, birthday parties) and assisting with formal education programs (classroom programs, lectures, scout merit programs, center tours, etc.). To fully support wildlife, we must help the public understand how to live harmoniously with all of them.Pre-requisites: Be a current TWRC member and be at least 15 years of age.Ongoing Commitment: Commit to work a minimum of 1 shift quarterly. Surfin’ Bird Responsibilities: This position is responsible for completing internship specific projects or goals and assisting with formal and informal education programming.Pre-requisites: Be a current TWRC member and be at least 18 years of age.Ongoing Commitment: Commit to work a minimum of 1 shift per week during internship. JAGs Responsibilities: This position is responsible for assisting with Summer Wildlife Camp programs as a Junior Adventure Guide.Pre-requisites: Be a current TWRC member and be at least 14 years of age.Ongoing Commitment: Commit to work a minimum of 3 shifts per week – for 5 camp weeks between June and August. Vet Room Staff Responsibilities: Concerned rescuers bring orphaned and/or injured wildlife of all kinds to receive first aid in our Vet Room by qualified individuals who are trained to work with a wide variety of species. They trust us to skillfully and knowledgably assess the needs of the animal they took time to rescue and to administer the initial care needed, giving each animal the compassion and dignity it deserves. Vet Room Staff have the privilege of examining wildlife up close and responsible for overseeing the examination, assessment, and treatment of all daily admissions.Pre-requisites: Be a current TWRC member. Must be at least 21 years of age, be an active Vet Room Assistant, completing 60 hours of service within a period not to exceed 6 months, have experience rehabbing at least one species and be sub-permitted, permitted or actively seeking permits.Ongoing Commitment: Commit to work at least 12 hours per month. Vet Room Assistant Responsibilities: Vet Room Assistants help Vet Room Staff stay organized so that they may be more focused on addressing the needs of each animal in a timely manner. This opportunity also serves as a training field in which the Vet Room Assistant learns more about the initial assessment and care of new wildlife admissions.Pre-requisites: Be a current TWRC member. Must be at least 21 years of age, be an active TWRC Center Volunteer, completing 20 hours of center service within a period not to exceed 4 months, have experience rehabbing at least one species and be sub-permitted, permitted or actively seeking permits.Ongoing Commitment: Commit to work at least 12 hours per month. Wildlife Rehabilitator Responsibilities: After receiving initial care in the TWRC Vet room, a permitted rehabilitator specializing in that species accepts the animal into their home for ongoing personal care until the animal is old enough to be released and/or has fully recovered from injuries or illnesses.Pre-requisites: Must be at least 21 years of age, be an active TWRC Center Volunteer, completing 20 hours of center service and become sub-permitted. Hours must be earned within the 6-month period immediately preceding being sub-permitted and/or receiving animals. TWRC provides all training through its Mentorship Program for Wildlife Rehabilitators and help obtaining permits.Ongoing Commitment: Depends upon species rehabbed. Busy Bee Responsibilities: This position is responsible for maintaining TWRC’s facility where the public bring injured, orphaned and ill wildlife for care. Our facility must be clean and orderly so that we can operate efficiently to provide quality care to wildlife in need. This entry level position is responsible for washing dishes and crates, animal laundry, assembling animal aquaria, food prep and other activities to support the center. Pre-requisites: Be a current TWRC member, TWRC provides all training.Ongoing Commitment: Commit to work at least 12 hours per month. Lizard Lounge Responsibilities: The lobby where the education animals reside is the first thing the public will see and smell when they enter the door. It is imperative that it be maintained to the highest standards. Our education animals deserve the best quality diets as well as a variety of enrichment activities. These animals are critical to the success of our education program. This entry level position is responsible for the daily feeding and care of all education animals (squirrels, opossum, screech owl, non-venomous snakes, turtles, lizards, and a woodpecker). Pre-requisites: Be a current TWRC member, TWRC provides all training.Ongoing Commitment: Commit to work at least 12 hours per month. JustServe is a service to help link community volunteer needs with volunteers and does not discriminate based on race, religion, gender, ethnicity, or sexual orientation in posting projects or in encouraging volunteers to serve according to our guidelines. JustServe Community Service Guidelines: The best service opportunities are collaborative—working side by side with others in faith-based, nonprofit, community, and government organizations. Community service opportunities should enhance the quality of life in the community and assist the poor and needy. JustServe projects should not have a political or advocacy focus, be for-profit oriented, or directly involve volunteers in fund-raising or other prohibited activities. If our fosters are the heart of our organization, our volunteers are the pulse. We count on our volunteers to help support our efforts, so we can use our funds where they’re most needed — bettering the lives of homeless pets across Houston. We need your help to find homes for the estimated 1 million homeless dogs and cats wandering our city’s streets. Every little bit helps. RPM’s fundraising committee always needs help planning, organizing, and staffing many different events throughout the year. We also need help with various office tasks. Help transport pets, complete office work, raise money and plan events. Want to make a difference in the lives of Houston's homeless animals? Become a Friends For Life Volunteer! We offer a variety of volunteer opportunities, and all of them make a true difference to the animals in our care. Volunteers must be at least 16 years old and attend volunteer orientation and training. Additional training beyond initial orientation and training may be required for some volunteer opportunities. Community Service hours cannot be completed through the Friends For Life Volunteer Program. Administrative Volunteers Help with the general administrative tasks that help keep the shelter running every day. This includes writing, data entry, filing and much more. Adoption Counselors Support our animals in finding their forever homes by reviewing adoption applications, conducting interviews and working side-by-side with adoptions staff to screen applicants for placement into adoptive homes. Behavior Volunteers Learn about animal behavior and work directly with our behaviorists and trainers to rehabilitate animals at the shelter with behavior challenges. Cat Volunteers Support cats that live at the shelter, or at our Petsmart adoption center, by caring for their daily needs, socializing them, feeding, providing enrichment and maintaining their living spaces. Knowledge of cat behavior is helpful but not required. This opportunity requires a moderate to high level of physical activity. Dog Volunteers Care for dogs that are temporarily boarding at the shelter by walking, providing enrichment, feeding, training, socializing them and maintaining their living spaces. Knowledge of dog behavior is helpful but not required. This opportunity requires a moderate to high level of physical activity. Fix Houston Help locate cat colonies by walking targeted neighborhoods and talking to residents. Set up traps and catch cats, transport them to be vaccinated and spayed/neutered, help them recover from surgery and drive them back to their home territories. Work Fix Houston events offering free spay/neuter surgeries and vaccinations to pets belonging to residents in underserved sections of Houston. This opportunity requires a moderate to high level of physical activity. Mobile Adoption Event Volunteers Work at our off-site mobile adoption locations and assist in setting up the mobile adoption area, caring for and handling the animals, and speaking to the public about Friends For Life's mission and programs. This opportunity requires a high level of physical activity. Reception Volunteer at our front desk and be the friendly face of Friends For Life by greeting the public and helping answer phones. Whether you enjoy working with cats, dogs or people in our community, we have a variety of volunteer opportunities available that are sure to fit your interests and work with your scheduleReady to get started?! The first step is to complete our quick and easy online application. Once we receive your application, we’ll send additional details about our available volunteer opportunities so that you can become better acquainted with our shelter and decide how you you’d like to get involved. In addition to BARC’s dedicated staff, BARC relies on teams of trained, responsible volunteers to provide extra care and services to the public and our animals housed at BARC. We have volunteer opportunities for adults and for children under the direct supervision of their parents. There are many ways to be a BARC volunteer. The responsibilities include but are not limited to animal care, adoptions at BARC, special events at BARC, off-site adoption events, foster homes, foster pantry organization, facility beautification/construction, and administrative Help. Volunteers are expected to provide dedicated service each month. All volunteers are required to attend an orientation and training sessions at the shelter to prepare them to do their specific job. Please read the following Volunter Handbook before attending an orientation. In order to become a BARC volunteer, you first need to register with the City of Houston and sign up for the next Volunteer Orientation. There are numerous ways to get involved and help us continue to fulfill our mission of saving homeless cats and dogs in our community. If you're interested in making a difference in your community, apply to join our team today. Key duties include: Contacting schools to secure acceptance for exchange students Recruiting and screening volunteer host families in your community Providing supervision, guidance, and support throughout the exchange We offer competitive compensation per placement, generous bonus opportunities, and international travel rewards. This position is flexible and potential is not limited - you set your own goals, and your role can range from a few hours per week to a new lifestyle...you decide! Volunteer Program StaffBe A Champion, Inc.
Want to volunteer to help homeless pets? Best Friends in Houston has a variety of volunteer opportunities available, including fostering cats and dogs to help get them ready for adoption, assisting with the Harris County Community Cat Program, and helping in a number of other ways to benefit animals and the people who love them in your community. WE ARE NOW ACCEPTING VOLUNTEERS! Kitchen volunteers provide essential help in reaching our goal of preparing 20,000 hot meals a day. Morning volunteers (ages 16 and older) may assist with meal prep (i.e. slicing, cutting, stirring, etc.) and packaging of hot meals for daily distribution to community locations where children gather after school. Afternoon volunteers will help clean and sanitize the kitchen and prepare for the next day. For your safety, closed-toe shoes, sleeved shirts and long pants are required. Jewelry is not allowed in the kitchen. Monday – Saturday8:00 a.m.-12:00 p.m. Afternoon Monday – Friday 1:00 p.m.-4:00 p.m.
Volunteer projects vary based on need and may include sorting food, repacking dry food into family-sized bags and stocking the Portwall Pantry. Children as young as age six are welcome for our kid-friendly projects. Volunteers 16 years and younger MUST be accompanied by an adult parent/guardian while performing community service hours here at The Houston Food Bank. Closed toe shoes and sleeved shirts are required. Monday – Saturday8:00 a.m.-12:00 p.m. Afternoon Monday – Saturday 1:00 p.m.-4:00 p.m. Evening Monday – Friday 6:00p.m.-9:00 p.m. Sundays Every Sunday 9:00 a.m.-12:00 p.m. The Volunteer Firefighter protects the community in a wide range of emergency situations. The Volunteer Firefighter may be called upon to deliver fire suppression, emergency medical assistance, rescue, hazardous material responses, public education and other various duties as assigned. At the American Cancer Society, saving lives is our mission. We achieve our mission by drawing on our humanity. Humanity made up of courage, determination, innovation, passion, empathy, and caring. These are the values that give us the advantage over cancer. Our work is important. And so are the people doing it. The people who work at the American Cancer Society focus their diverse talents on our singular mission: to end the pain and suffering of cancer. It is a calling. And the people who answer it are fulfilled. We value our employees and nearly 2.5 million volunteers around the globe that have stood with us through the years, and we will not rest until the fight is won. And that day is drawing nearer. The Director, Estate and Gift Planning is a part of a team responsible for over 15% of the organization’s revenue, second only to our well-known “Relay for Life” and other special events. The Director, Estate and Gift Planning builds relationships with planned giving prospects and donors in addition to estate and financial planning professionals. SBP has teamed up with Mosaic Center to bring even more families home and benefit the community at large. Our missions have joined together for one cause; to help bring families home who lost everything to a natural disaster. SBP is an award-winning, nonprofit rebuilding organization whose mission is to ensure that disaster-impacted citizens and communities recover in a prompt, efficient and predictable manner. Through Disaster Recovery Lab, SBP works to share lessons learned, prevent common barriers to recovery and help communities utilize SBP’s standardized, repeatable and proven-effective model. Since its founding in 2006, in response to Hurricane Katrina, SBP has rebuilt homes for over 1600 families with the help of over 100,000 volunteers in New Orleans and Baton Rouge, La; Joplin, MO; Rockaway, NY; Monmouth and Ocean Counties, NJ; San Marcos, TX; Columbia, SC; Houston, TX, and Puerto Rico.